This is one of my favorite images. It is from Delhi and shows conundrum of humans and monkeys in India. Monkeys are everywhere because of the Hudaman, the Hindu monkey god. 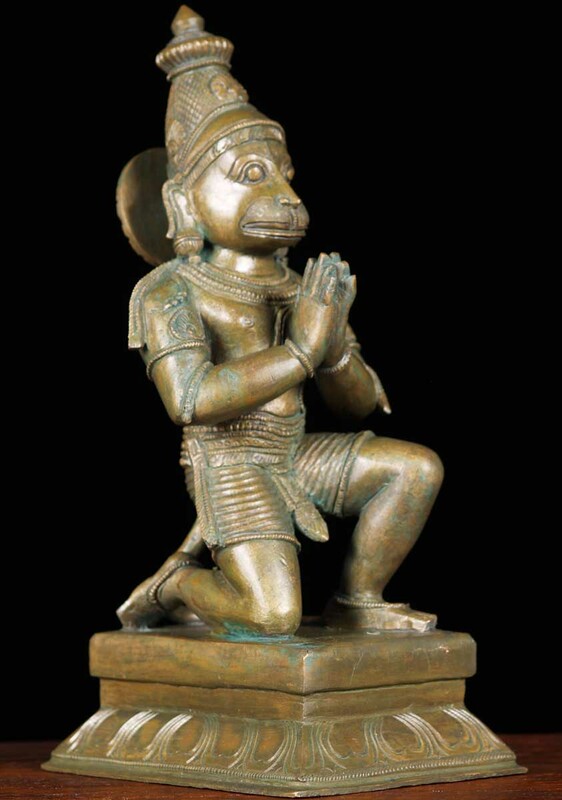 Hindus revere Hanuman, the Monkey god and care for monkeys in his image. He is the god of strength and energy, also characteristics of the animals. But the monkeys are growing and producing without limit. Monkeys can not be killed. Indians feed the monkeys as you can see so when they are chased away, they just return and reproduce ! Monkeys are very smart and are attracted to hats, sunglasses, and hands in pockets where they think you hide their food. Here is another of my favorites. 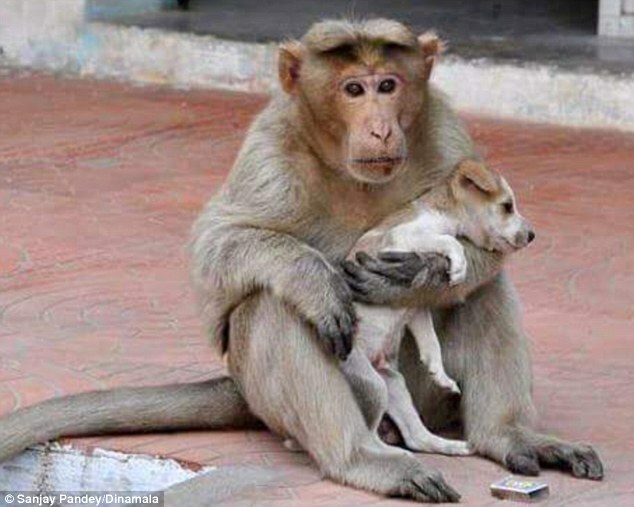 A monkey adopting a puppy ! Monkeys and puppies. . . two in one! It is important to be forever on “Monkey Alert” while walking around India ! This entry was posted in Amdavad, Animals, Delhi, Religions of the World, Travel, Uncategorized and tagged Amdavad, beliefs, culture, Delhi, faith, Hanuman the monkey god, Hinduism, India, Jaipur, monkeys, travel. Bookmark the permalink.